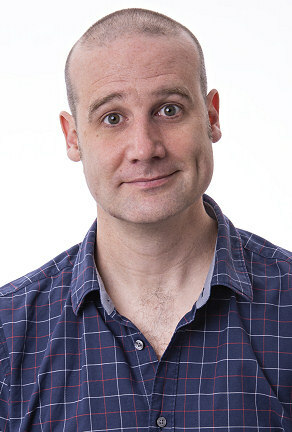 Matt Parker is a stand-up comedian, #1-best-selling maths author and person who makes videos for the internet as well as an engaging, entertaining but technical keynote speaker for conferences and corporate events. Matt has done after-dinner talks for financial, accounting, insurance and networking companies including events at the Houses of Parliament, the Royal Society and the Royal Institution. He has been the entertaining keynote speaker at conferences for database developers, financial consultants and of course teachers. He can also host conferences, award ceremonies and company sports days (but not all at once). Originally a maths teacher from Australia, Matt now lives in the UK but travels more than he probably should. Matt will be performing a new maths-comedy show (based on his book Humble Pi) at the 2019 Edinburgh Festival Fringe and then touring the UK later in the year. Based in the Mathematics Department at Queen Mary, University of London, Matt gives maths and physics talks for secondary schools students and adult audiences all across the UK and internationally. His geekish style of stand-up is also seen in comedy clubs across the country, including several shows at the Edinburgh Festival Fringe that played to sold-out audiences. In his remaining spare time, Matt writes for newspapers such as The Times and The Guardian as well as talking about Maths on everything from BBC Radio 4 to GMTV. His favourite number is currently 496.